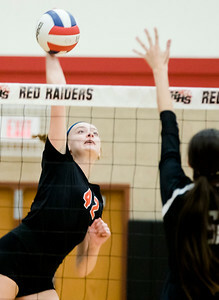 Sarah Nader - snader@shawmedia.com Crystal Lake Central's Madelyn Blake returns the ball during a match against Barrington at Saturday's Huntley Volleyball Tournament Oct. 7, 2017. 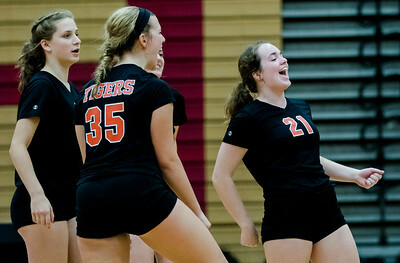 Sarah Nader - snader@shawmedia.com Crystal Lake Central's Olivia Doak celebrates a win during a match against Barrington at Saturday's Huntley Volleyball Tournament Oct. 7, 2017. 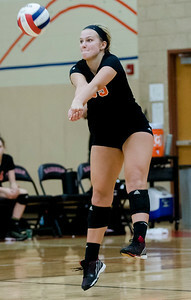 Sarah Nader - snader@shawmedia.com Crystal Lake Central's Kendall Lownds returns the ball during a match against Barrington at Saturday's Huntley Volleyball Tournament Oct. 7, 2017. 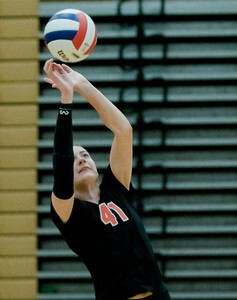 Sarah Nader - snader@shawmedia.com Crystal Lake Central's Emily Kelly hits the ball during a match against Barrington at Saturday's Huntley Volleyball Tournament Oct. 7, 2017. 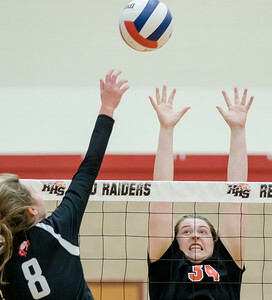 Sarah Nader - snader@shawmedia.com Crystal Lake Central's Megan Kelly hits the ball over the net during a match against Barrington at Saturday's Huntley Volleyball Tournament Oct. 7, 2017. Sarah Nader - snader@shawmedia.com Crystal Lake Central's Madelyn Blake dives for the ball during a match against Barrington at Saturday's Huntley Volleyball Tournament Oct. 7, 2017. 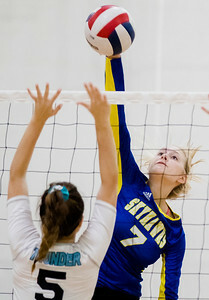 Sarah Nader - snader@shawmedia.com Johnsburg's Abigail Wemple hits the ball over the net during a match against Woodstock North at Saturday's Huntley Volleyball Tournament Oct. 7, 2017. 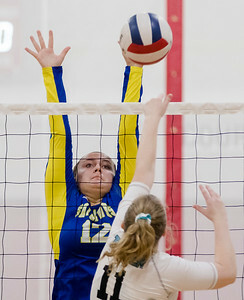 Sarah Nader - snader@shawmedia.com Johnsburg's Morgan Madsen jumps to block a ball during a match against Woodstock North at Saturday's Huntley Volleyball Tournament Oct. 7, 2017. 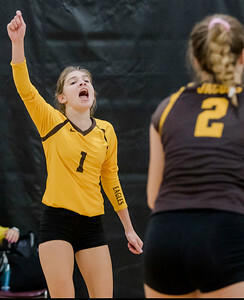 Sarah Nader - snader@shawmedia.com Jacobs' Jordyn Kelly celebrates a point during a match against Joliet Central at Saturday's Huntley Volleyball Tournament Oct. 7, 2017. 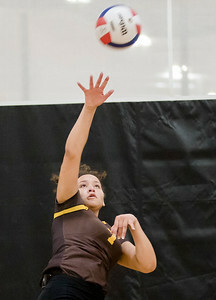 Sarah Nader - snader@shawmedia.com Jacobs' Autumn Miller hits the ball during a match against Joliet Central at Saturday's Huntley Volleyball Tournament Oct. 7, 2017. Sarah Nader - snader@shawmedia.com Crystal Lake Central's Paige Hulata jumps to block a ball during a match against Barrington at Saturday's Huntley Volleyball Tournament Oct. 7, 2017. 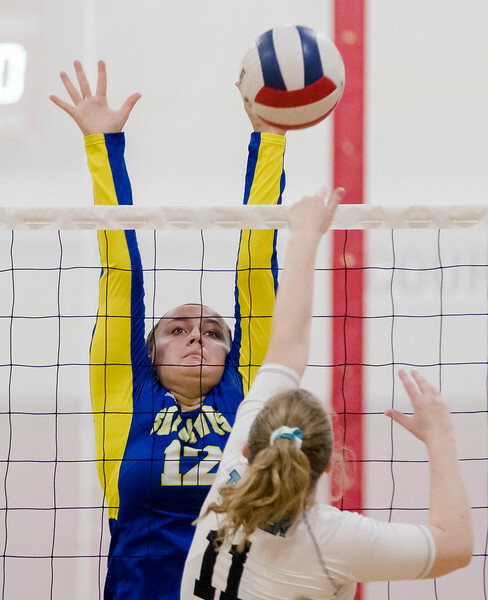 Johnsburg's Morgan Madsen jumps to block a ball during a match against Woodstock North at Saturday's Huntley Volleyball Tournament Oct. 7, 2017.